Master 10 is a big golf fan and wanted his own practice putt putt. Ready with his design drawn to scale, including hills, slope and pipe, he presented his design ready for construction. He certainly has an eye for detail, because he had only a few minor changes once he saw his had drawing finished on the computer. Made out of MDF with a touch of fake grass added and Titleist logo (white acrylic). 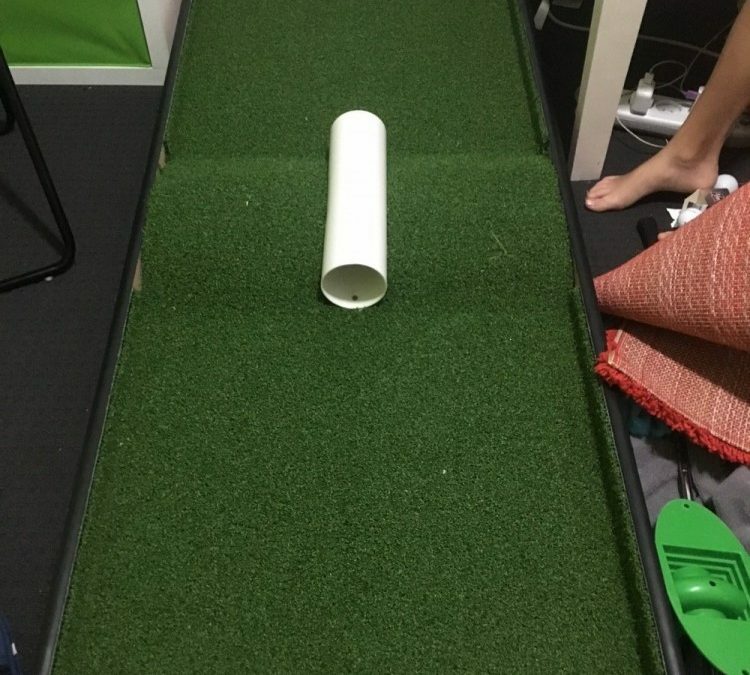 One happy 10 year old with his own practice putt putt in his room, fitting as expected.